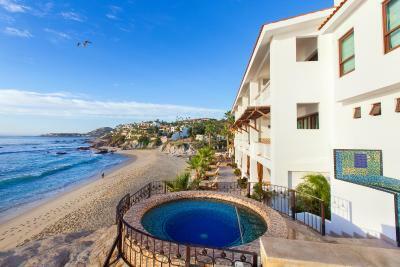 Lock in a great price for Cabo Surf Hotel – rated 9.2 by recent guests! The sea is right there ! The hotel is magical and intimate . You provided water without charging, it was quiet, the little porch was really nice. The staff was super attentive. The beer selection was great. Who can argue with the location!! The staff was great and helpful. The beach was great. The hotel grounds are beautiful, very well maintained and cared for including the pools which have a fantastic view of the surf. 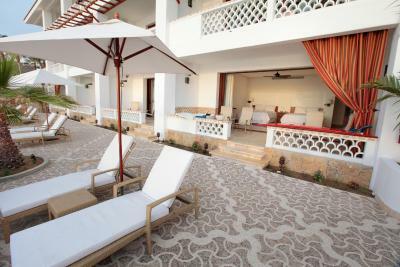 We loved the newer pool up above the hotel, a little more secluded with an expansive look at the coastline. 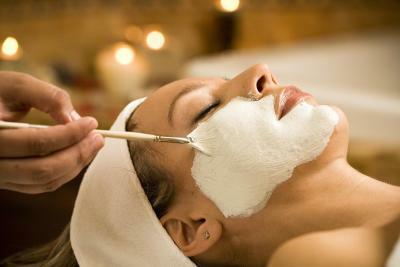 The staff is so friendly and kind and were always available for assistance. I never care much about housekeeping attending to our room, but the woman that took care of us did such a wonderful job, it really felt like we were being pampered! My husband loves to surf, which is why we chose this spot. It was fantastic to be able to wake up and check the waves from our balcony hammock and hangout around the hotel while he was in the water. 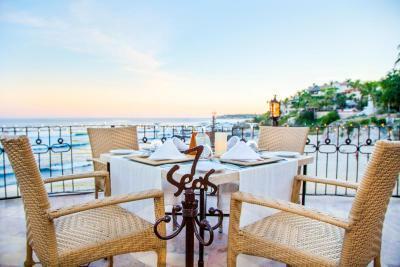 Perfect spot for couples, families and friends. A little on the quiet side, definitely not a party scene if that is what you are looking for. We LOVE it hear!!! They make u feel like family! 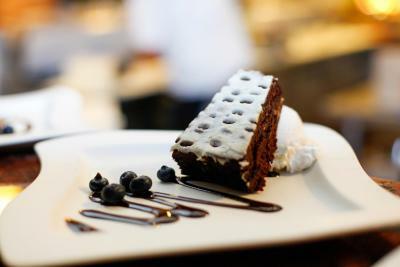 It’s delicious!!! The cost was suppossed to be around 269 a night and when i got there was 455 a night. Some mix up between booking.com and the hotel. Very shocking but being as i was stuck in a foreign country i could not say no. But 1875 for three nights in Mexico is ubsurd! I am single and wanted only one king size bed. All the rooms face the ocean at this hotel and i could have done with a much smaller room! There needs to be grocery available. And a refund of about 600.00 us dollars would be greatly appreciated! Having said that. 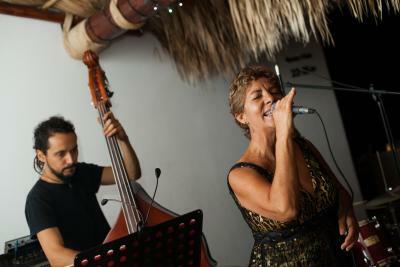 Barbara, and Hector were great! Great place to wake up to in the morning! Gorgeous! Great waves!! Nice view! Best restaurant in town downstairs. Nice surf spot!!! Just amazing! 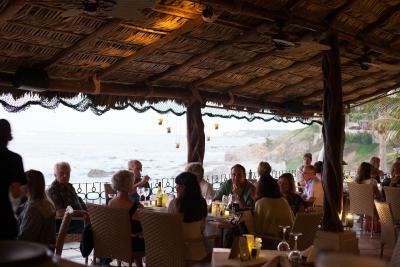 The 7 Seas restaurant on the property is an open air venue that overlooks the ocean with breakfast at sunrise and dinner at sunset. 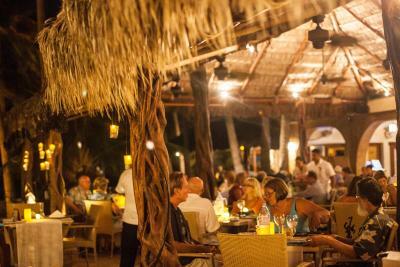 The restaurant has an extensive fresh seafood menu as well as Mexican specialties. We had tortilla soup every night. 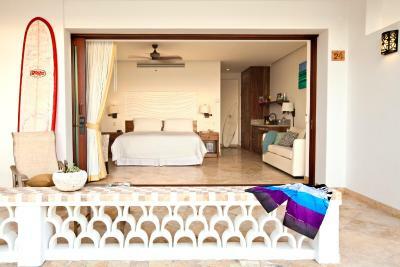 There was no need to leave the property because everything was provided with A+ service. 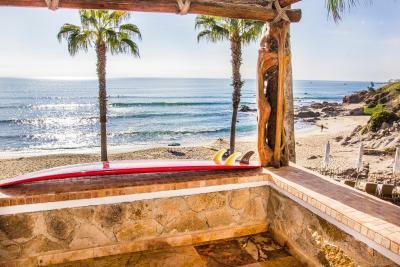 The hotel is located on one of the best surfing beaches, Old Man’s, and is the home to the Mike Doyle Surf School with boards and lessons provided on site. 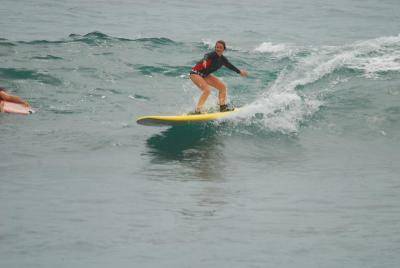 We surfed from 6:00 am every morning until sunset. lovely hotel, small and perfect. great little beach and fun waves for the kids to surf. 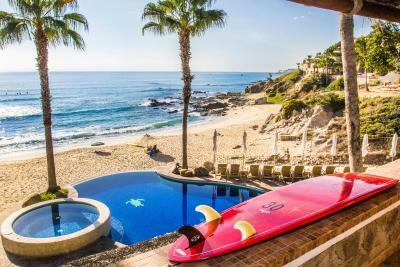 Cabo Surf Hotel This rating is a reflection of how the property compares to the industry standard when it comes to price, facilities and services available. It's based on a self-evaluation by the property. Use this rating to help choose your stay! 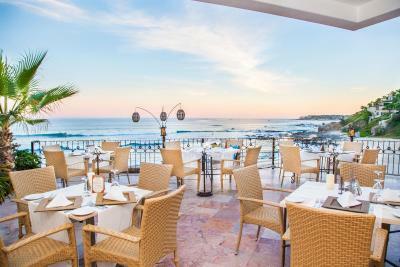 One of our top picks in San José del Cabo.Only a 10 minutes’ drive from central San Jose del Cabo, this hotel is in one of the most popular surfing beaches of the region. 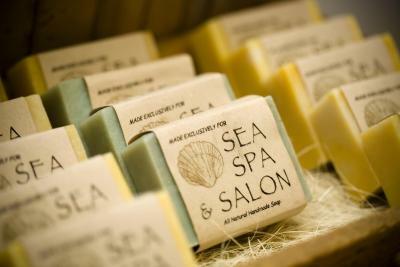 It also has spa facilities, outdoor pool and hot tub. 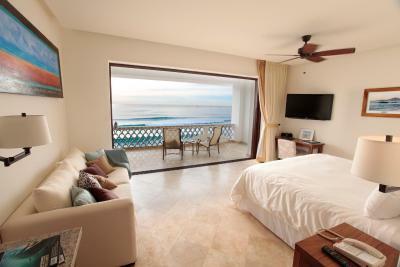 The accommodations at Cabo Surf Hotel feature light décor and wooden furniture, plus they include amenities like iPod dockings, flat-screen cable TVs and bathrobes. The bathroom has luxury brand toiletries and a hairdryer. Wi-Fi connection is also available throughout. 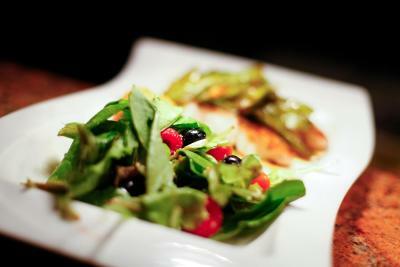 The 7 Seas Restaurant serves Mexican and Mediterranean dishes and operates from 7 am until 10 pm hours. 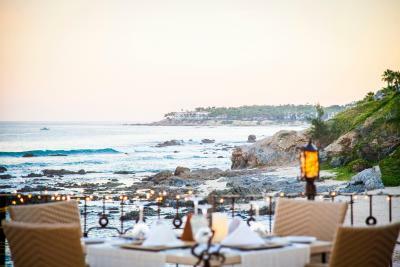 Within one mile from Cabo Surf, guests will be able to find other food options, which include an Asian-style and salad restaurants. 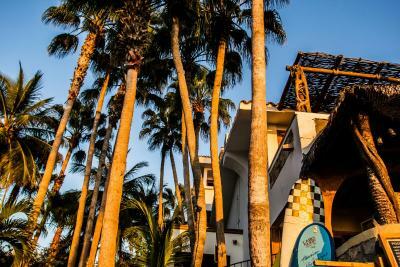 Popular activities that can be performed at Cabo Surf are diving, windsurfing and surfing. 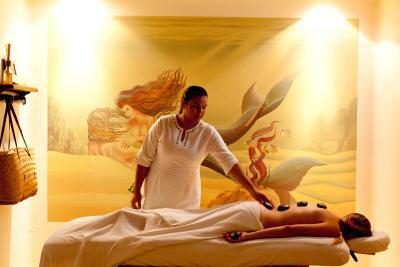 The front desk staff may also help the guests with popular sightseeing options. 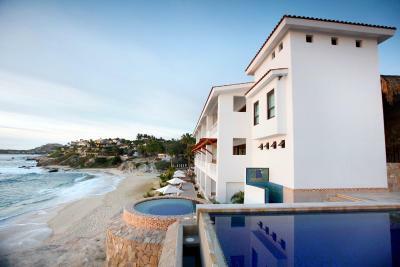 In Cabo San Lucas guests will find several golf courses and is a 25 minute drive from the property. 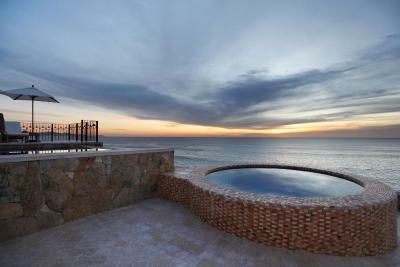 Los Cabos International Airport is 14 miles away. 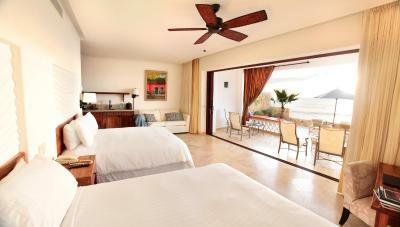 When would you like to stay at Cabo Surf Hotel? The Double Room has an iPod docking and partial views of the ocean. There are ironing appliances and a desk available, plus a flat-screen cable TV and safe. The bathroom comes stocked with bathrobe, hairdryer and free toiletries. The Studio has an iPod docking and has partial views of the ocean and ironing appliances and a desk are available. The in-room amenities include a flat-screen cable TV and safe. It also has a kitchen with microwave and fridge. The bathroom comes stocked with bathrobe, hairdryer and free toiletries. 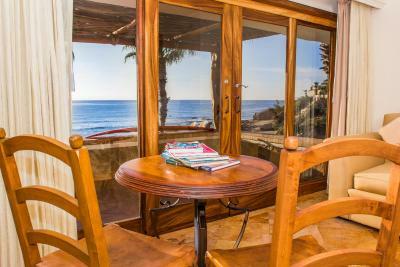 The Superior Studio has a hot tub, iPod docking and offers ocean views. Ironing appliances and a desk are available. The in-room amenities include a flat-screen cable TV and safe. It also has a kitchen with microwave and fridge. The bathroom comes stocked with bathrobe, hairdryer and free toiletries. The Deluxe Studio has a hot tub, iPod docking and ocean views. There is a kitchen and a fridge available, plus a flat-screen cable TV and safe. The bathroom comes stocked with bathrobe, hairdryer and free toiletries. 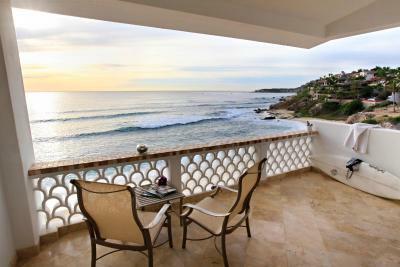 The King Studio has an iPod docking and offers views of the ocean. There are ironing appliances and a desk available, plus a flat-screen cable TV and safe. It also has a kitchen with microwave and fridge. 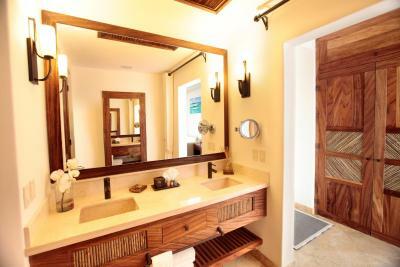 The bathroom comes equipped with bathrobe, hairdryer and free toiletries. 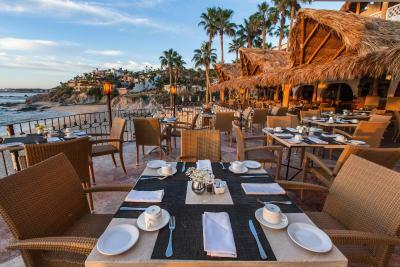 House Rules Cabo Surf Hotel takes special requests – add in the next step! 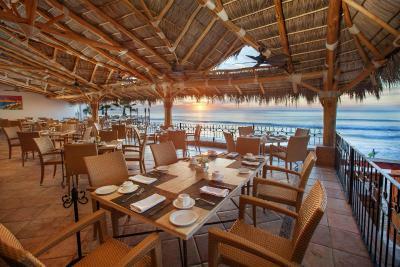 Cabo Surf Hotel accepts these cards and reserves the right to temporarily hold an amount prior to arrival. The best ocean closeness! in a land of corporate city states this hotel is a unique small magical gracious wave ! The only element of the experience that I thought was less engaging was the surf shop under the hotel. I don't believe its actually part of the Cabo Surf business (I might be wrong). I found some of the people working there not particularly engaging or friendly. Great location, the hotel has been kept to a high standard over the years. 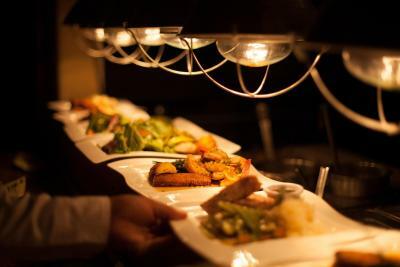 The team are super helpful from the front desk, poolside and in the restaurants. They couldn't do enough for you. The pillows were flat and not comfortable. Add a pool handrail for safety getting in and out of pool. I had a knee injury and it was difficult to get out of pool. Need new pillows. We used to love the restaurant here, but it has been toned down to be more bland than we recall. A little less authentic, flavorful and lacking of spice. 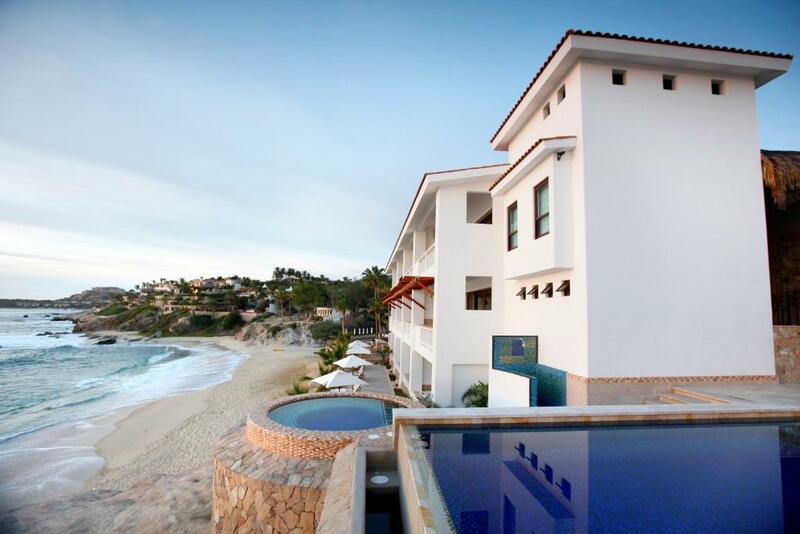 Definitely not bad, but not something we would recommend to our friends while in Cabo. Really expensive food and drinks for Mexico.. Lack of grocery available! Overcharged, tricked for room rate. Restaurant 85.00 for one dinner! Charged 10.00 us dollars for a bottle of water! Three days cost me more than ANY trip i have ever taken to Oahu! Room was suppossed to be 269.00 US and I was charged 455.00us per night! Excurtion would not give me a ride to the event. This cost me 40.00 taxi! The hotel is posh and any extra is overpriced. So goes for the surf rentals, drinks and food. 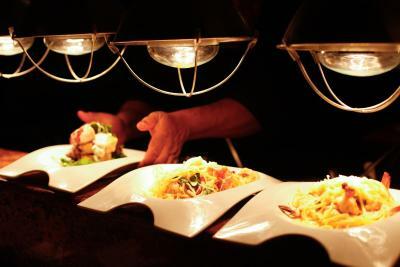 Slow service and expensive restaurant!